My regular readers of Shoeography will know that I've covered this style a couple of times and with no apologies. 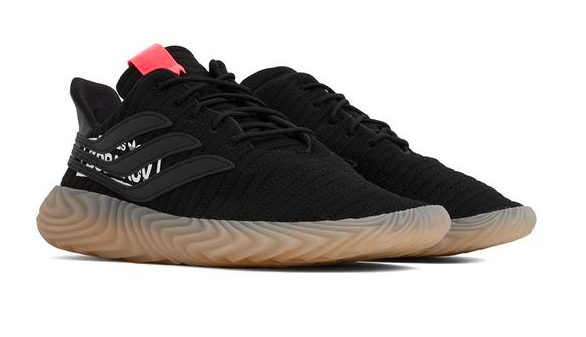 Here in a new 'core black' color way is the Sobakov by Adidas Originals, a shoe that I just think is a cool looking comfortable sneaker. 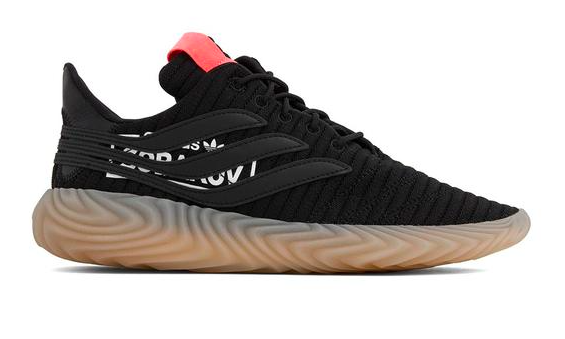 Reminiscent of a soccer sneaker, the upper features a characteristic quilt pattern with remixed Adidas stripes that abstract the white letter branding on the rear vamp and a rounded wavy-molded rubber sole, this time around with a translucent/gum sole effect. 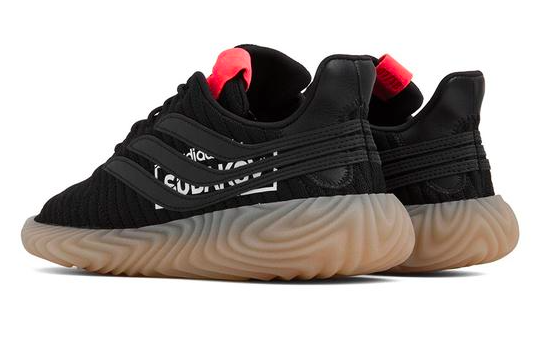 Day off, to the gym or running errands, this is a great forward sneaker that is cozy as it is cool. 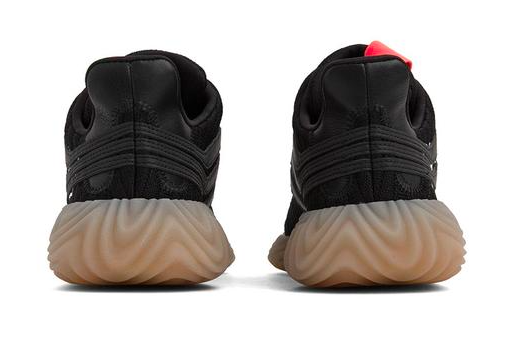 Available now at FeatureSneakerBoutique.com.